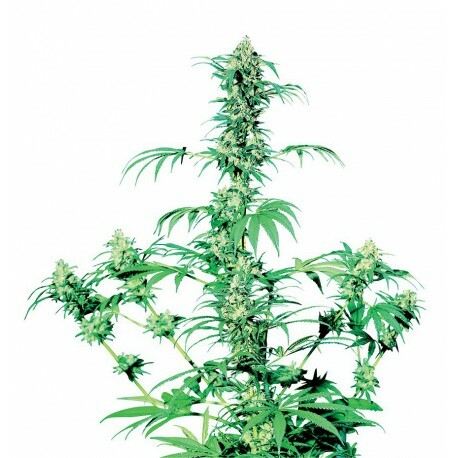 The Early Girl cannabis seeds do not need a lot of space because even when they grow into full-blown plants, this type remains nice and compact. Sunlight, moisture and a bit of nutrition once in a while is enough to achieve an excellent result with these cannabis seeds and plants. Are you a grower who wants to cultivate sativa outdoor? The Early Girl weed seeds by Sensi Seeds meet this desire. As the first non-Automatic (not autoflowering) sativa that can also be cultivated outdoor, these cannabis seeds have been very well-known since its introduction (more than a quarter of a century ago). Growers “all around the world” are very enthusiastic, especially the ones who have to grow their weed in a less than warm climate. The Early Girl cannabis seeds do not need a lot of space because even when they grow into full-blown plants, this type remains nice and compact. Sunlight, moisture and a bit of nutrition once in a while is enough to achieve an excellent result with these cannabis seeds and plants. If you prefer, the lower branches can be pruned. However, this is no necessity. When you leave the pruning shears in the closet, the lower branches will just compete with the stem. This obviously provides additional buds that can be harvested. The Early Girl owes the combination of sativa and indica to an ultimate crossing between a Mexican (sativa) and an Afghan (indica). The plants grow into a beautiful whole of buds that do not lack resin. Do you want to grow your own cannabis outdoor and in a simple manner, preferably on your balcony? Buying weed seeds of the Early Girl is the first step.